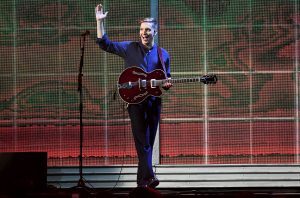 The 2019 BRIT Awards were held last night at the O2 Stadium in London. Hosted by comedian Jack Whitehall and radio presenter Clara Amfo, the night honoured the year’s best in British music. Actor Hugh Jackman opened the show with the theme song to the hit film The Greatest Showman, with his performance featuring hundreds of dancers, acrobats and fire-breathers. The movie soundtrack, which was not nominated for any awards, happened to be the UK’s best-selling album of 2018. 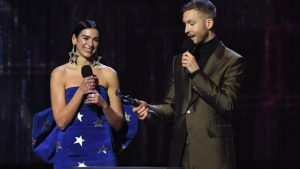 Calvin Harris, who has been nominated a total of 16 times for a BRIT Award, went home with his first two wins, one for ‘Music Producer of the Year’ and another for ‘Best Single’, for One Kiss with Dua Lipa. Pink walked away with the ‘Outstanding Contribution to Music’ award, before taking to the stage to perform a 10-minute medley of her greatest hits. While accepting her honour, the pop star became emotional. Duchess of Sussex Meghan Markle made a surprise appearance, but not as you may think. 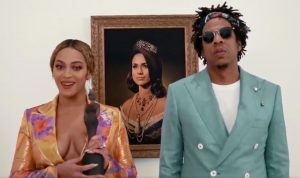 Superstars Beyoncé and Jay-Z accepted joint their award for ‘Best International Group’ for their album released as The Carters in front of a portrait of the new Royal Family member, mimicking the Mona Lisa featured in their video for Apes**t.
The night saw show-stopping performances and tearful acceptance speeches from our favourite artists of 2018 and we at Spectrum FM cannot wait to see what next year’s BRIT Awards will bring. See you there! For a full list of the night’s winners please click the link below.